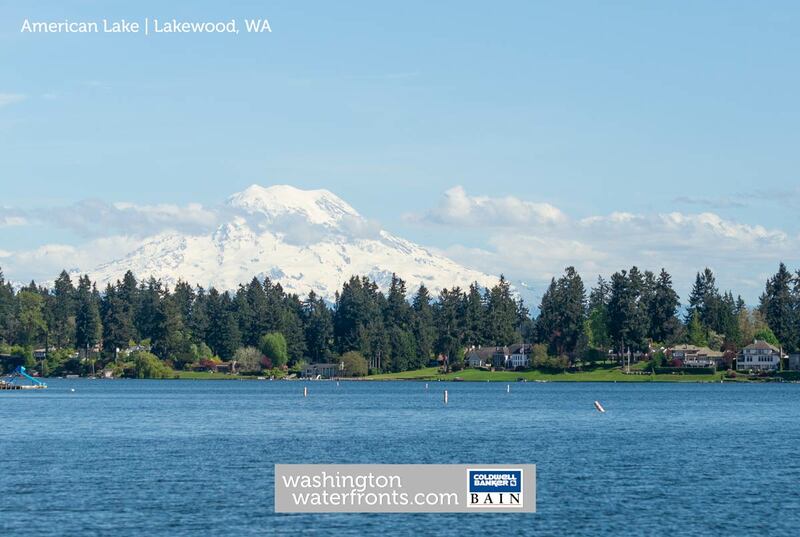 You’d be hard-pressed to find a more picturesque place to live in Lakewood than along the shores of American Lake. Here, not only do American Lake waterfront real estate owners get to enjoy an easy commute time to Tacoma and Joint Base Lewis-McChord, but outstanding bass, perch, trout and salmon fishing right from their backyard, whether it’s casting a line from the shore, or a boat. The 1,125-acre lake offers lots of opportunities for outdoor fun, whether you’re looking for a second home to spend weekends with friends and family or a full-time lakeside retreat. There are few better ways to spend a day then enjoying tubing, wakeboarding, swimming or fishing without ever having to get behind the wheel. Owning American Lake waterfront property also means lots of great golfing opportunities, right along the beautiful shores at the American Lake Veterans Golf Course, or the Tacoma Country & Golf Course that also sits at water’s edge and offers swimming pools and dining facilities in addition to the immaculate, sprawling course itself. There are also two public parks here, Harry Todd Park and American Lake North Park & Marina, which host lakeside beaches for swimming and fishing. With the city of Lakewood and all its amenities just minutes away, a myriad of shopping and dining awaits as well, including Lakewood Town Center and its more than 40 retailers, restaurants and entertainment options. With its ideal location close to Tacoma, Lakewood, and the military base, and as a popular destination for summertime activities, there can be some competition for American Lake waterfront real estate. It often tends to be on the high side of the average budget, but it’s more affordable than the much pricier Lake Washington communities. You may even be able to achieve your dream of a luxury home here, with outstanding options like southern exposure and no-bank waterfront with a boat dock and an impressive mountain view. Take advantage of our industry-leading tools to make your property search as easy as possible and be sure to register for a FREE account so that you can receive email alerts whenever new American Lake waterfront real estate for sale hits the market. If you're seeking to sell your American Lake waterfront property, contact our Waterfront Specialists directly for a comprehensive listing analysis and to learn more about the cutting-edge marketing strategies we'll use to sell your home quickly for top dollar!